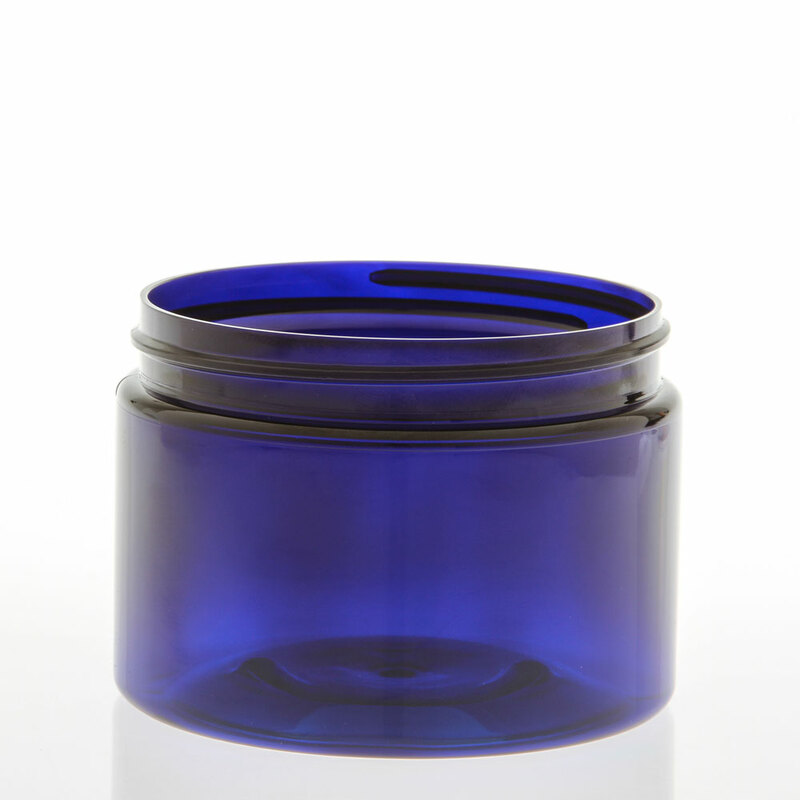 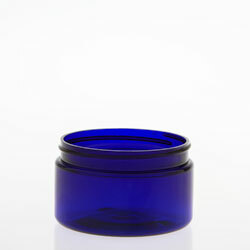 A styled low profile jar composed of cobalt blue PETE plastic. 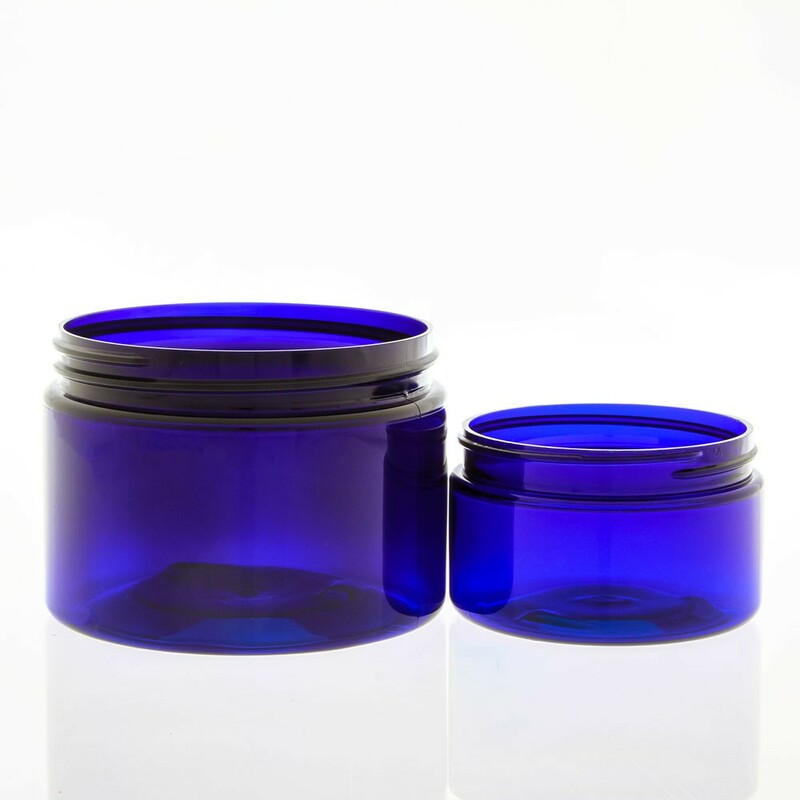 Available in various sizes and compatible with sealing discs. 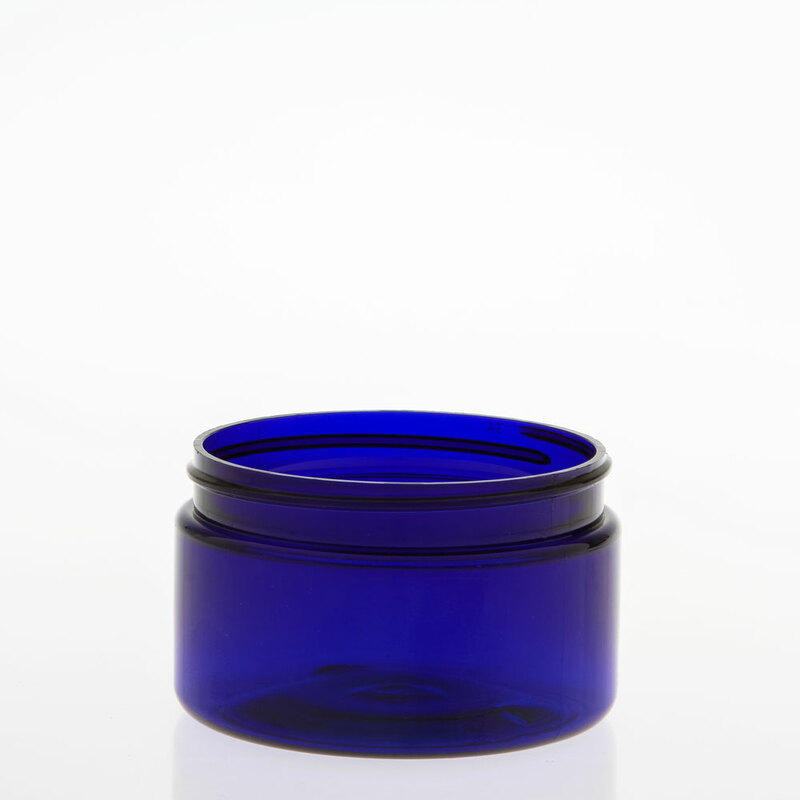 I love these jars, I use them for my homemade salves.